Introducing the NEW PRO-MIX™ I DC - Lubrication and Coolant Mixing System from Industrial Innovations. This system adds to our expanded Advance Automation die casting and forging product line. Our new PRO-MIX I DC - Lubrication and Coolant Mixing System is the solution for all your coolant management needs, including mixing, blending, recycling, filtering and collection. 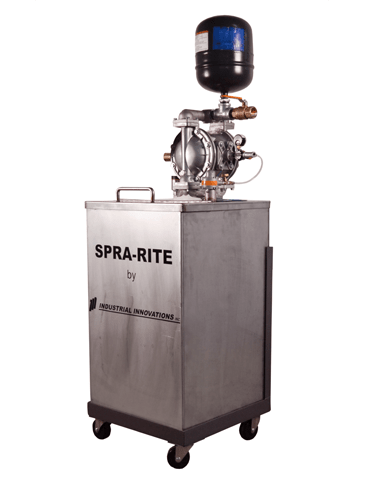 Lubricant Mixing Pump Capable of 50:1 to 500:1 Dilution Ratio. Multiple options available. The NEW Industrial Innovations - PRO-MIX I DC - Lubrication and Coolant Mixing System is available NOW! Give us a call at 616-249-1525 to learn more.